Tata Motors is scheduled to report it December quarter earnings today. The result will be watched for current demand trends for JLR and outlook for key markets. Automobile major Tata Motors is scheduled to report it December quarter earnings today. The result will be watched for current demand trends for JLR and outlook for key markets. 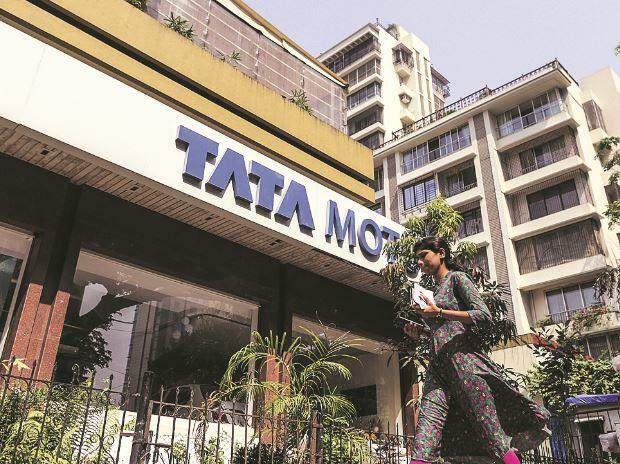 Tata Motors posted a consolidated net loss of Rs 1,009 crore for the second quarter ended September 30, 2018, mainly due to a weak performance by its British arm Jaguar Land Rover (JLR). The company had reported a net profit of Rs 2,501.67 crore in the July-September quarter of 2017-18. Total revenue from operations had risen 3.3 per cent to Rs 72,112.08 crore as compared to Rs 69,838.68 crore in the year-ago period. JLR revenue, however, declined 11 per cent to 5.6 billion pounds. Consolidated revenues are estimated to grow 4.5 per cent year-on-year (YoY) (+7.4 per cent quarter-on-quarter (QoQ), with EBITDA (Earnings before interest, tax, depreciation and amortization) margin contracting 70bps YoY to 10.8 per cent. We estimate consolidated PAT of Rs 410 crore. We expect JLR’s (including JV) volume to decline by 8.7 per cent YoY (+11 per cent QoQ), impacted by slow demand and deferment of purchase in China due to the reduction in import duty. JLR’s net realization is expected to increase by 1.8 per cent YoY (+0.2 per cent QoQ). JLR’s EBITDA margin would contract 20bp YoY (+160 bp QoQ) to 10.7 per cent. We cut FY19/20 consolidated PAT (profit after tax) by 15 per cent/3 per cent. For JLR, we marginally raise our volume and margins estimates. The stock trades at 7.7x FY20E EPS. We maintain ‘Buy’ rating. Key monitorables include current demand trends for JLR and outlook for key markets, demand trend in domestic markets and new product launch, and impact of forex hedge loss. We expect challenging times to continue at Tata Motors amidst nearly flat volumes in the domestic business (1.72 lakh units) and likely 7.4 per cent decline in volumes at JLR (1.47 lakh units). At JLR, with focus on cost control, we expect EBITDA margins to improve 40 bps QoQ to 9.5 per cent. On a consolidated basis, sales in Q3FY19 are expected at Rs 78,340 crore, up 6.7 per cent YoY. EBITDA is expected at Rs 8,614 crore (EBITDA margins at 10.9 per cent, flat QoQ). At the PAT level, we expect Tata Motors to report a profit of Rs 486 crore (Rs 1,215 crore in Q3FY18). The standalone domestic volumes over Q3FY19 were flat YoY, down nearly 10 per cent QoQ. Further, on account of higher discounting in the industry, we expect standalone margins to be at 7.3 per cent, down 120bps YoY as well as QoQ. JLR’s Q2FY19E volumes are expected to be flat YoY, up nearly 14 per cent QoQ, with margins at 11.4 per cent, higher 50bps YoY, up 230bps QoQ.